Among the memorable characters created by Gilda Radner (z’l), one of the original cast members of Saturday Night Live, was an older woman, Emily Litella, who would mishear the news. After engaging in an angry diatribe in response to what she thought she heard, Emily would shyly follow up with an apologetic “never mind.” Radner’s sketches came to mind as I heard about the latest data on young adults’ attachment to Israel. Given the increasingly contentious debate about Israel, distancing was plausible and, perhaps, obvious. Certainly, there were some suggestive data, along with anecdotal evidence. 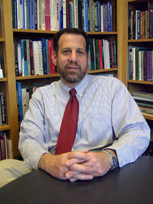 My colleague, Ted Sasson, had been examining several decades of surveys conducted by the American Jewish Committee expecting to find increased distancing, but there was none. That, in turn, led Charles Kadushin and me to join him in looking systematically for evidence that would support or refute common wisdom. Our program of research on Taglit-Birthright Israel applicants made clear that young adults—even those who did not participate in Taglit—were very positive about Israel. Taglit participation dramatically accelerated attachment, but it was in the context of pre-existing relatively positive attitudes. After publishing an initial paper which reported the AJC data, we appeared at the Association for Jewish Studies convention and participated in a debate with several other researchers who critiqued our findings. This, in turn, led to a special issue of the journal Contemporary Jewry where our analyses and Cohen and Kelman’s were debated by more than a dozen researchers. We persuaded a few folks, but most argued that we had to be wrong. What was a somewhat arcane academic controversy about sampling and statistics became very public in May 2010, when journalist Peter Beinart wrote a New York Review of Books article that claimed that liberal North American Jews were abandoning Israel because of the Israeli government’s policies. He framed his argument around the the Luntz and Cohen/Kelman data about distancing. In effect, he issued a warning to the American Jewish establishment: Either pressure the Israeli government to change its policies toward the Palestinians or risk the eventual dissolution of ties with the American Jewish community. The increasingly public debate about distancing reinforced our interest in the issue and in September 2010 we published a report, Still Connected, which found that respondents under 29 were more attached to Israel than those in the 30-44 cohort. In some respects, however, the breakthrough came in a later study, which we published in 2011. In Understanding Young Adults’ Attitudes to Israel, we showed that contemporary young adults, compared to those of similar age 10 years earlier, were more attached to Israel, and that attachment tends to increase over the life-course. In part because of Taglit-Birthright Israel, which has brought nearly 200,000 U.S. young adults to Israel since 1999, these natural lifecycle effects have been amplified. It suggests that not only is the distancing hypothesis incorrect, but the future connection of American Jews to Israel will be stronger than ever. Which brings me back to “never mind.” Last week, Workmen’s Circle released the results of a study on attitudes of American Jews conducted by Steven M. Cohen and Samuel Abrams. The study found that Jewish young adults (18-34 years old) were more attached to Israel than those 35-44. The study provides corroborative evidence to our own of the strength of young adult attachment to Israel. The authors characterize the phenomenon as the “Birthright bump,” an effect that parallels our own conclusions about the transformative potential of Taglit. Although the sample used by the Workman’s Circle study is less than ideal (like AJC, it’s an “opt-in” consumer poll), the bias in the sample—toward less engaged individuals—actually strengthens confidence that the study didn’t oversample the highly connected. The headline of the Workmen’s Circle study concerns the higher levels of attachment of young adults than the next generation, but in terms of the debate over distancing, the key issue is that young adults show no evidence of rejecting Israel. The distancing hypothesis predicts that young adults would be significantly less attached, but just the opposite was found. Although one could argue that the situation is different today than it was six years ago—as a result of a larger group who have experienced Taglit— the alumni are still not a majority of their generation and the most parsimonious explanation is that Taglit accelerates the trend of increasing attachment to Israel over the life-course. Debate over the distancing hypothesis has animated scholars and policy wonks over the last decade, but perhaps it can be put to rest. A few journalists, notably Shmuel Rosner and Bret Stephens, have argued that the facts didn’t fit with the rhetoric, but the new information—by a source known for his defense of the distancing hypothesis—provides independent support for the more positive view. Perhaps we can now focus on developing a better understanding of how American Jews relate to Israel and how it is part of their Jewish identity. But as we move to more profound questions, we should pause to try to draw lessons from the recent debate. The specifics of American Jewish attitudes to Israel notwithstanding, one lesson is how we attend to data. Do we privilege instincts, anecdotes, or even theoretical assumptions over quality data? How we manage the incongruence of our perceptions and actual data is not only an issue for those of us who study the Jewish community, but also for those who lead it. In his iconic philosophical novel, Zen and the Art of Motorcycle Maintenance, Robert Pirsig comments on science: “The real purpose of the scientific method is to make sure that Nature hasn’t misled you to know something that you don’t actually know.” Behavioral science, like any scientific discipline, provides explanations that are our best approximation of truth. But by pursuing truth in this way we guard against allowing our predilections to become our predictions. This entry was posted in Israel and tagged Attachment, distancing, Israel by cmjseditor. Bookmark the permalink.